This is an example of a module published to the top_row_1 row. This row contains 6 modules, read below for a full description. This is an example of a module published to the top_row_2 row. This row contains 6 modules, read below for a full description. This is an example of a module published to the top_row_3 row. This row contains 6 modules, read below for a full description. 01 Download any module you wish to publish to your site. 03Browse for the module's install file and click Upload File & Install. 05Find the Module just installed and click on it's title. 06 Change any parameters that you wish and be sure to set it to published and publish it to your desired module position. 07To apply a module style simply fill in the module class suffix field with any of this template's included module styles. This parameter setting is found under Module Parameters on the right side of the screen. 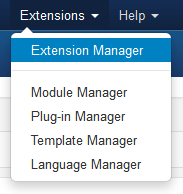 08Assign what pages you would like the module to appear on and finally click Save. This is an example of a module published to the right position. There are also left, insets, rows, etc. positions and many others, be sure to read the full description. This is the default style that will appear for most module positions in the white body area. The following is an example of how you can add an icon to any module you desire. All you need to do is enter in the prefix of "s5_icon" in the module suffix followed by the icon class name. For example the suffix used on this class is "s5_icon.ion-android-globe"
The following URL lists all the ion icon classes that you can choose from. You can also use font awesome icon classes and they will function the same way. This is the "dark" module style and can be applied to most module positions. This is the "gray" module style and can be applied to most module positions. This is the "highlight1" module style and can be applied to most module positions. This is the "highlight2" module style and can be applied to most module positions. This is the "border" module style and can be applied to most module positions. This is the "centered" module style and can be applied to most module positions. This is the "large_title" module style and can be applied to most module positions. This is the "split_title" module style and can be applied to most module positions. This is the "split_title_large" module style and can be applied to most module positions. This is the "none" module style and can be applied to most module positions. This is an example of a module published to the bottom_row_1 row. This row contains 6 modules, read above for a full description. This is an example of a module published to the bottom_row_2 row. This row contains 6 modules, read above for a full description. This is an example of a module published to the bottom_row_3 row. This row contains 6 modules, read above for a full description.